The LiLi Centre Christmas Fair! On Saturday 17. November from 11:00 - 16:00 the LiLi Centre will be hosting its Christmas Fair - festive fun for the whole family! There will be activities for kids, gift stalls (so you can get a head start on your Christmas shopping), a gift wrapping service, festive food & drink and lots more! And don’t forget to bring your wish list as Santa will be in his grotto! We will also be launching Our Giving Tree - a brand new fundraising initiative to help support the Lili Centre and keep it open and available to all! Come along and decorate a bauble to hang on the tree and find out more! 11:00 - 16:00 Doors open! 11:00 - 13:00 Thai yoga massage - free trial sessions! 12:30 - 16:00 High tea - we will be serving up delicious scones, finger sandwiches and other treats! 14:00 - 16:00 Visit Santa in his grotto! There will be various other activities happening throughout the day - see below for more details! Decorate a snowflake: The craft table will be open from 11:00 - 13:00 so kids can decorate their very own snow flake Christmas ornament! Thai yoga massage: a traditional healing practice, which originated more than 2000 years ago in Buddhist temples and basically is a fusion of yoga, ayurveda and Buddhist principles. Stop by at the Nest to get a free 10-15 min trial massage with Gerda any time between 11:00 - 13:00. Christmas wish tree: Make a donation and decorate a bauble to hang with a message for the LiLi Centre! Cupcake decorating: Kids can decorate a delicious cupcake. Face painting: Rose S-Pünktli will be offering face painting for kids from 13:00 - 15:00. Visit Santa: Santa will be in his grotto from 14:00 - 16:00 so don’t forget to bring your list! just CHF 15.- (or CHF 20.- with a glass of Prosecco)! Brauerei Sutton will be serving up locally brewed craft beer to help thirsty market visitors along with their day! Good ID! will be at the Christmas Fair with fun and practical baby and kids products. Perfect as a gift or for your own child. Harmony BioBodycare: Naturally nourishing Bodycare products for Adults, Kids and Babys. Contain 100% Organic carrier oil, essential oils and hydrosols. Range includes Happy Baby, Happy Mama, DIY Baby Wipes Spray, Wellness Rollerball blends (eg Stress, Sleep, Jetlag), Lipgloss, Body Oil, Facial Oil, Diffuser blends and Foaming Handsoaps. Personalised products available on request along with speciality blends (eg scar regeneration, swelling reduction). 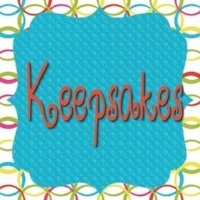 Keepsakes: will be selling greeting cards, gift tags and gift bags. 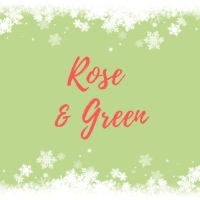 Rose & Green: Beautiful handmade knitted hats and scarves. Gift wrapping service: Come and get your Christmas presents wrapped. Buy a card to write your message and all your Christmas needs are covered! Second hand toy stall: Good quality second hand toys in search of a new home! Newer PostDec 15. - Free Beginners Ski Lesson - Age 16+, Exclusive offer for LiLi Centre Members!